Wrap up the long weekend with a chilled Sunday on the hill! Music from William J (Darker Than Wax), U-Ta (Sonido Singapura), Gonzo (Kilowatt Soundsystem) and Sideshow residents Stew and Tom. Gourmet sausages and burgers from Sidecar Sausages, great vegetarian food by Banyan Tamarind Foods, craft beers, wines, and cocktails from the Kult Kafe bar. Jam session in the bar after 10pm! 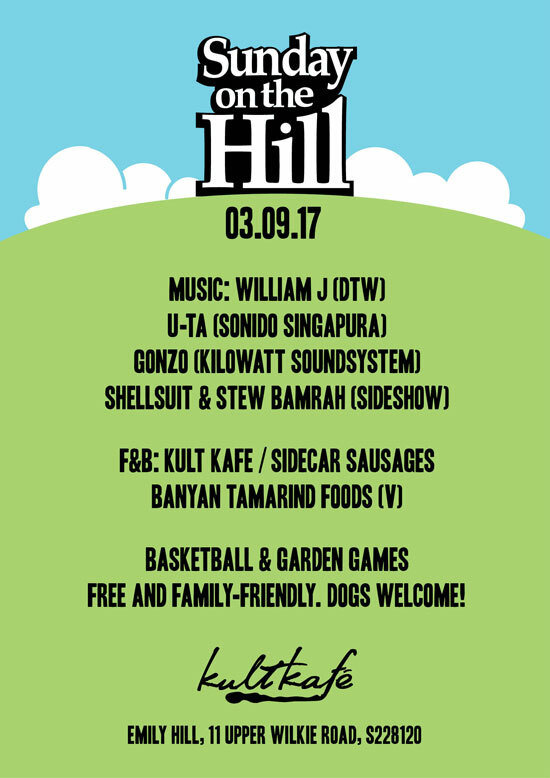 Free-entry and kid and dog friendly – come chill on the hill!